There have been a few requests for a Tut for this trick. I created this trick a few months ago. c-cow-b stands for Crazy Corkscrew Opens Wine Bottle, which was the name that my editor on YoYoSkills.com gave it when I showed him. Ed Haponik helped be shorten it to c-cow-b. This trick has been baffling me for some time. I can do the whip part easy enough, but the turning around while spinning the yoyo is confusing me. Can someone help me out with this? love this trick. its quick easy and looks good in bar situations. 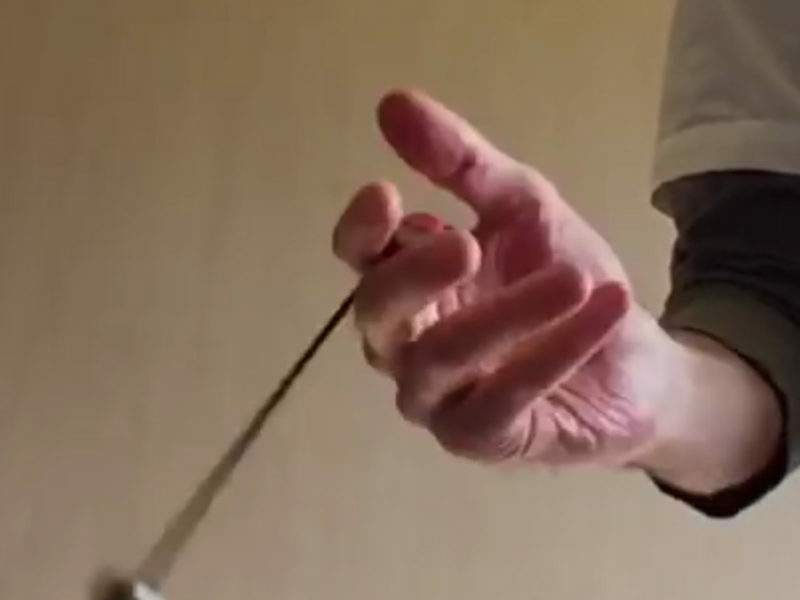 My tip is move your hands closer so the yoyo hangs down alot, and then when doing the whip, pull the yoyo up about 3/4ths to the formation and push the formation down the last 1/4ths so the yoyo and the formation are almost touching. im havin trouble with the whip part (and i CAN do plastic whips and other whip style tricks) any pointers? This was such an easy trick to learn, thanks for sharing it Chris. Such a fun trick to do, I’ sure my students will love seeing it.